HomeBangkokBoat riding along the canal & food tours in a historic site. Discover the historic site with local lifestyle along canal, the part of Chao Praya Rive and explore the ancient community at Art Houses area. Walking tour along the culture site food area which many dishes are two thumbs-up and well-know. Hop in a TukTuk to the real charm and beat of Thonburi, Bangkok - a historical site with harmony community beside Bangkok Yai Canal former be a part of Chao Praya River. Start foodie tours, wander along the street food. Let' enjoy & fun of food tasting, local Kopi, finger food, main dish and don't miss out the signature snack menu since World War II, today turns to the 4th generation business. 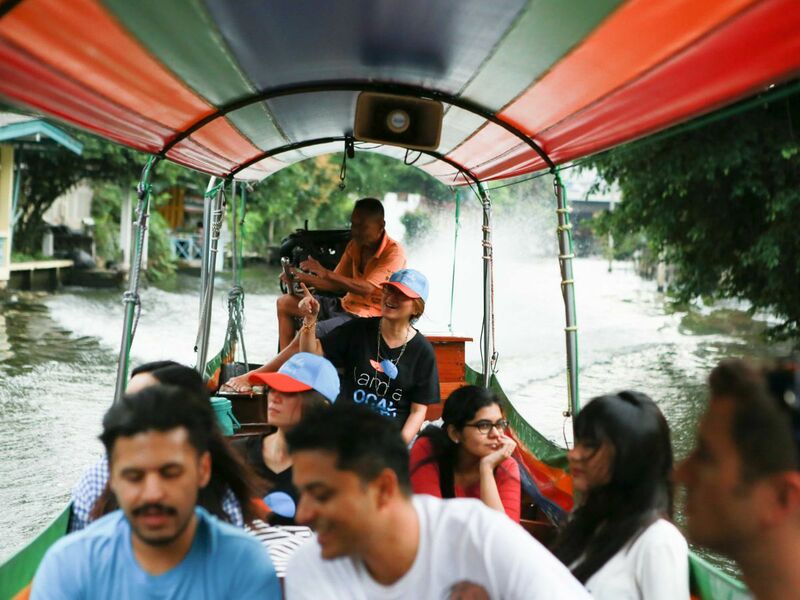 Take boat ride to explore local lifestyle along the canal which more than 10 Thai Temples are besides. Discover Art houses and the ancient communities beside the canal. Sit & Sip a cup of coffee surrounding the old stories beside you. Take you back to BTS Pho Nimitr. Have a wonderful memory in the OLD capital of Thailand. You will surprise when you hop in a local long tail boat. Busy time is out, relaxing and cool sightseeing tour along local canal. Also enjoy food tour at the one most well-known famous dishes and finger foods. Walking shoe, hat, your phone camera. We got to taste foods that we would never have been brave enough to try on our own. They were all delicious! We particularly enjoyed the fish steamed in red curry paste wrapped in a banana leaf! Sometimes we even got to cook the food ourselves (turning the satay kebabs on the BBQ). We had so much fun and learnt a lot about Thai foods! Our guide "Hong" was so lovely, friendly and very knowledgable. She went out of her way to make it a wonderful experience for us. She took some great pictures of us too. Guide from the neighborhood with lots of background information on the area and Thai culture. Make sure to show up hungry as there's plenty of dishes to try.